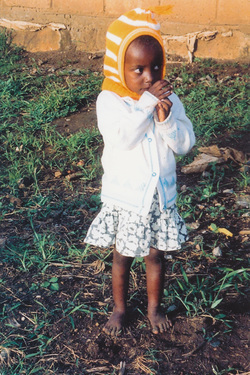 To Help Eunice to help the Upendo's children ! The most pressing need is the construction of an additional dormitory. The one originally meant to accommodate 20 little girls now takes 40 (most of them teens), 3 house mothers and a Social Worker. Upendo provides its 40 orphans children with an education and please note that Upendo runs as well a primary school for 87 children from poor families. Upendo pupils lead academically in the division and are in the top ten in the district of 63 primary schools ! Day to day survival is not enough, people need hope, Here we have the opportunity to change people's life for the better. Education is the seed for a better future, not just for them, but for Kenya as well. Please note that Upendo managed to educate some of its children through universities and colleges. So please help Eunice and her pupils, spread the word and a small donation or a big one would help to create a better future and a better world ! Thank you in advance for your help ! Upendo Means Love !